Dead Central’s next exhibit, Put Your Gold Money Where Your Love Is, Baby: Counterculture, Capitalism, and the Grateful Dead, will explore how the band invented, improvised, redefined, and pioneered business practices that revealed new ways of thinking about work, about being in business, and about the relationship between creators and their communities. It draws on the newly processed business records of the band. 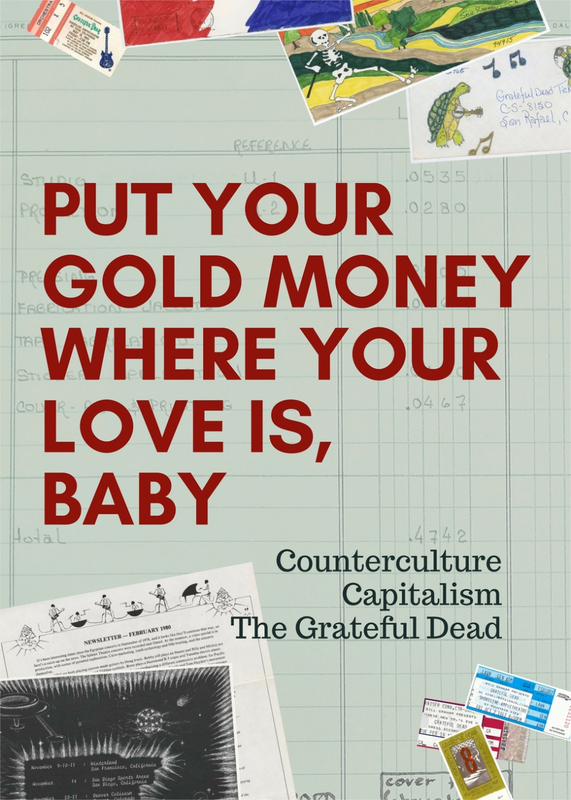 This 360-degree interactive exhibit gives online viewers (and listeners) another way to explore the exhibition “Put Your Gold Money Where Your Love Is, Baby”: Counterculture, Capitalism, and the Grateful Dead, curated by Jessica Pigza, Alix Norton and Gabriel Saloman Mindel, now on view at Dead Central. Dead Central is a gallery space on the Main Floor of McHenry Library at UC Santa Cruz dedicated to exploring cultural, social, and creative moments in the twentieth century in which the Grateful Dead played a critical part. Exhibits feature unique materials from the Grateful Dead Archive alongside original sources from across the University Library’s rich historical collections. The creation of Dead Central was made possible through a generous grant from the Brittingham Family Foundation. Dead Central admission is free and open to the public during regular Library hours.